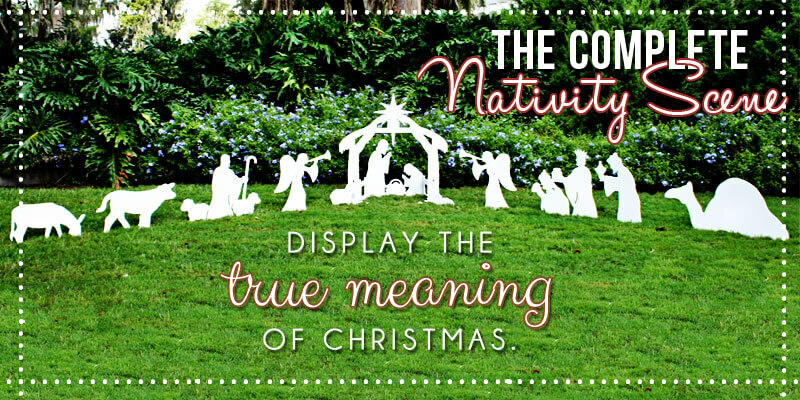 Come together as a family this year to celebrate the TRUE meaning of Christmas - restoring values back to the most meaningful holiday of the year. 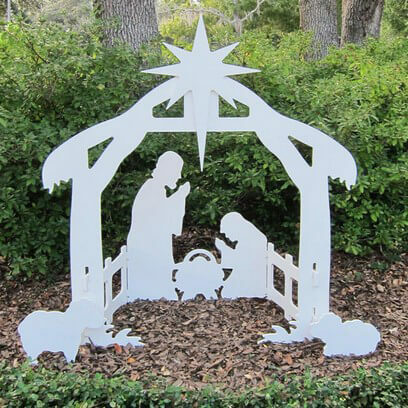 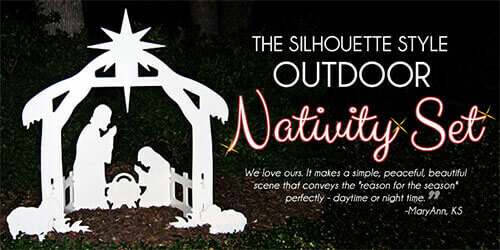 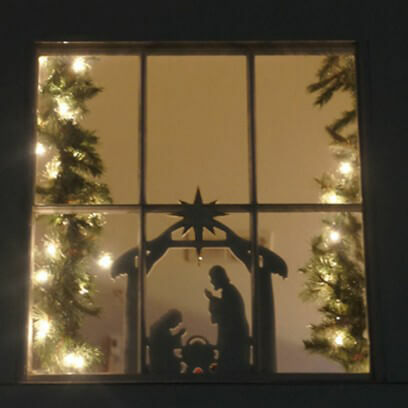 Display your love for our Lord with a tasteful, elegant nativity display. 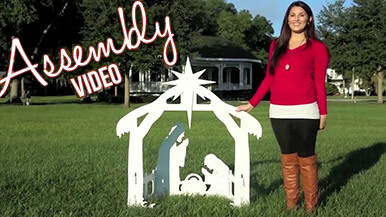 Assembles easily so the whole family can participate - creating both memories and traditions for years to come! 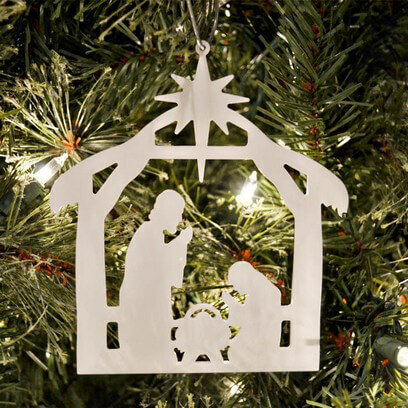 Proudly made in the USA, this meaningful family keepsake helps support American workers. 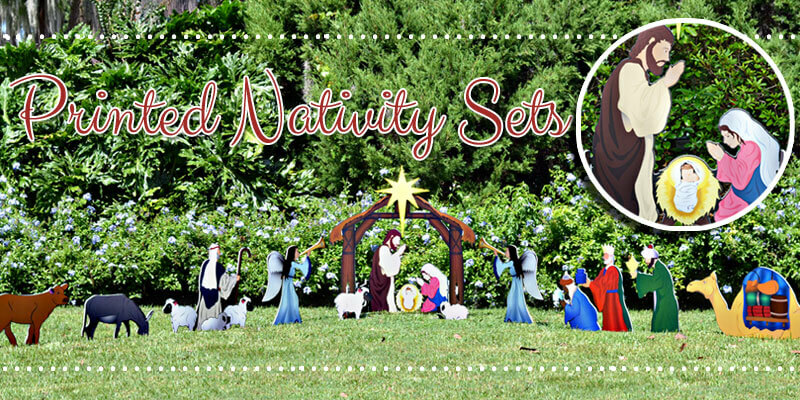 Designed out of necessity during the recession, our Nativity Sets help keep employees busy during the marine industry's slower winter months. 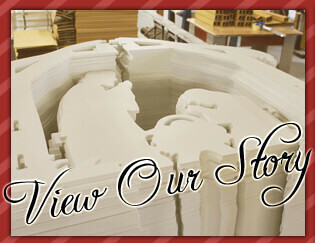 A feel good story for a feel good product! 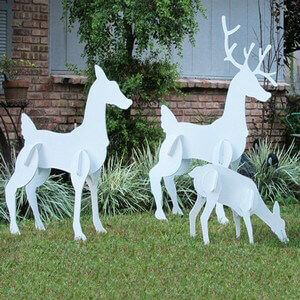 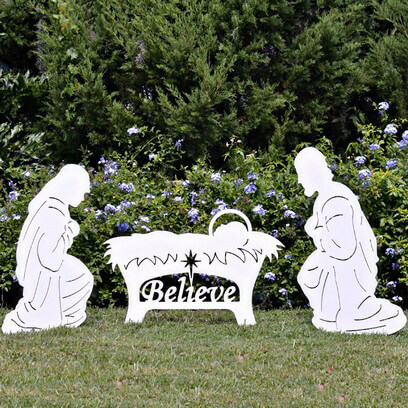 Find your prefect set for your yard, and turn your home into a beacon for the true meaning of Christmas!